The dining room offers three meals per day in a comfortable restaurant-style setting. 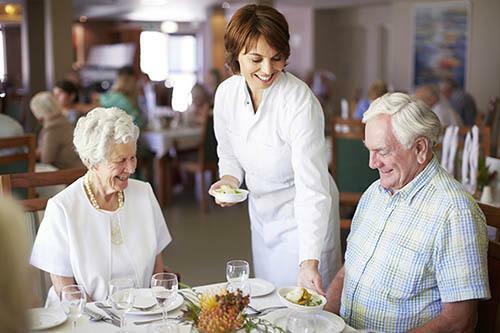 Breakfast, lunch and dinner are served and associates are always available with a helpful hand if extra support is needed. 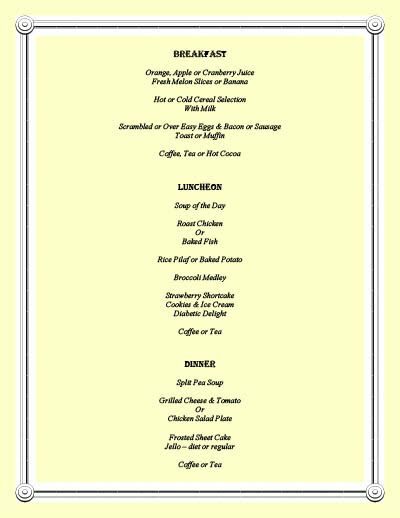 The menus offer a popular entrée selection with alternative selections as well. The dining room is also a fun place for birthday parties and special functions for both our residents and their families. View or print a sample of our delicious menu.